A Tale of Two Families by Dodie Smith (author of I Capture the Castle and The Hundred and One Dalmatians) is a classic tale of complicated sibling relationships, friendship and forbidden love. Set in 1970s England, this is a delightful, funny novel with deftly drawn characters and true heart. Suspecting her husband, George, of dalliances in the city, May decides it is high time the family moved to the country. 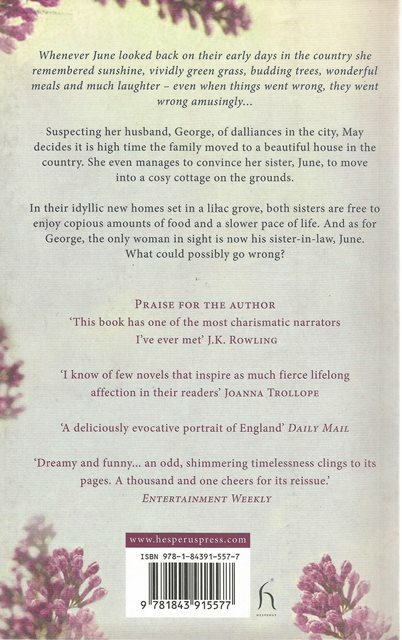 Determined to create the perfect home there, she finds an idyllic country house set in a lilac grove and sets about furnishing it properly and cooking enormous meals. She even manages to convince her less well-off sister, June, to move into a cosy cottage on the grounds with her husband Robert. This new set-up is very much a family affair as June's husband Robert just happens to be George's brother: the two sisters are married to two brothers. At first both families seem to be settling in well, sharing delicious meals and having jolly times together. 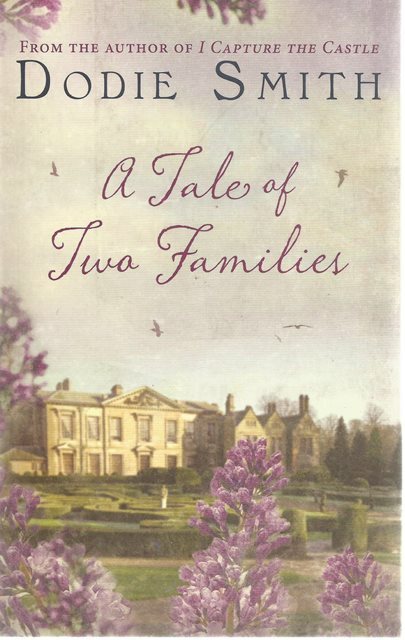 Their grown-up children, Hugh and Corinna, visit from London and there even seems to be a hint of romance in the air for them, while the surviving grandparents from both sides of the family move into the big house and forge new friendships. But the arrival of a cantankerous great aunt will reveal the cracks in the family's tangled relationships and will even threaten to unveil the greatest secret of all - while May thought moving George to the country would put a stop to his affairs, he has begun to fall in love with his sister-in-law, June. The death of a beloved character will, however, turn the tables again and lead to the ultimate, happy, denouement.